"Griller le feu rouge!" Photo by Vladimir Zlokazov. 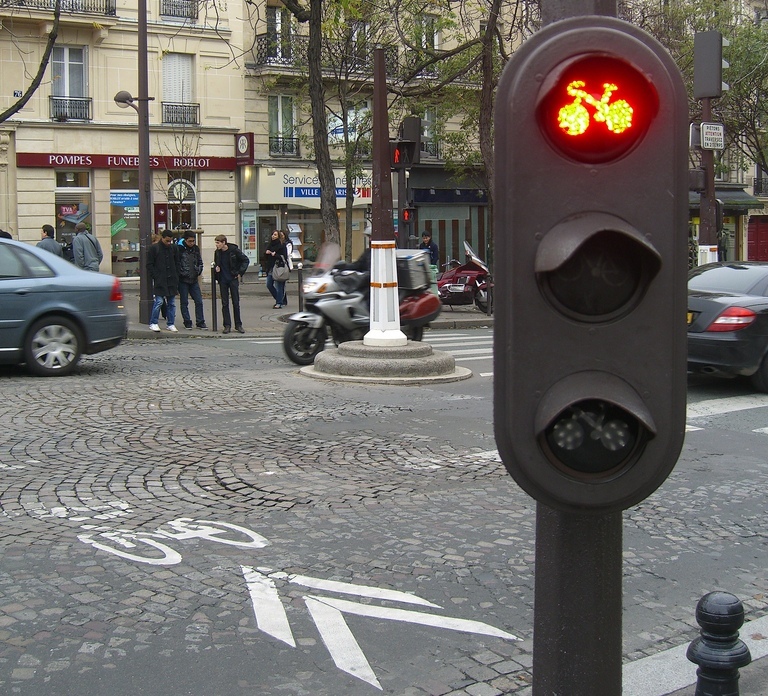 Councilors in Paris, France approved a new rule that would allow bicyclists to run red lights. A result of a three-year campaign by cyclists’ associations, the rule comes after road safety experts deemed it a good measure to cut road crashes. The idea of allowing cyclists to run red lights to decrease road crashes may seem ironic, but Paris municipal authorities believe that it will be an important step in helping to ease bicycle congestion. “It makes cycle traffic more fluid and avoids bunching up cyclists when the traffic lights go green for motorists,” municipal authorities explained. But does this idea change when it’s legal for bicyclists to run the red light? Does a rule like the one in Paris change the way “four-wheeled threats” perceive bicyclists? Cyclists running red lights has truly become a contentious issue. The rule’s supporters argue that cyclists should have more freedom on the road because the true source of fatal danger is the presence of cars, not other bicycles. What do you think? Do you believe that allowing bicyclists to run red lights can raise the road safety awareness of car drivers? Share your opinions with us below.